Background - In 1964, Terry and Diana Taylor established Combined Scientific. The Taylors had been encouraged by Richard and Louise Fall, owners of BioQuip Products (Bio Metal Associates at that time), to offer insect specimens to the entomological community. The owners of these two small companies shared a dream that one day the companies would merge to encompass the entire range of entomological needs - equipment, supplies, books, educational materials, and specimens. Forty-five years later, that dream became a reality. History of Combined Scientific - The company originally conducted business from the family home in Rosemead, California. The first catalog with 31 pages contained listings for 153 families. In 1976, the Taylors moved to Fort Davis, Texas, and purchased two railroad box cars from which the business was operated. Many professional and amateur entomologists made the long trip to visit their facility, located in a remote area near Alpine, Texas. In 2000, the last Combined Scientific catalog, #20, provided listings for over 400 families (approximately 9,000 species). In 2000, the business was sold to Greg and Rod Lewallen who renamed the company Insects International. Catalogs were published, and an increasing percentage of sales was made on their web site. In August, 2009, the inventory of the company was sold to BioQuip Products. 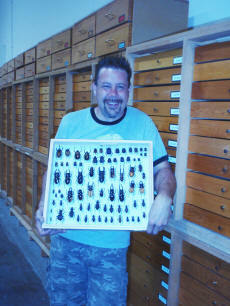 In March, 2010, the specimens, contained in 1,200 BioQuip insect drawers, was moved to BioQuip’s facility in Rancho Dominguez. 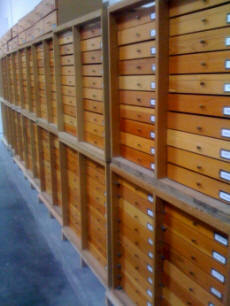 We look forward to continuing the tradition of providing high quality specimens to individuals and institutions. Please Note:A separate order is required for specimens ordered from BioQuipBugs.com. Items may not be combined with those from BioQuip Products.